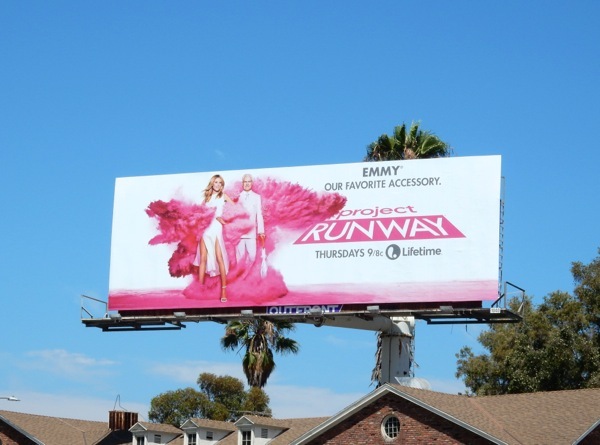 Finally the wait is over and Project Runway is back on our screens for a fabulous fourteenth season. 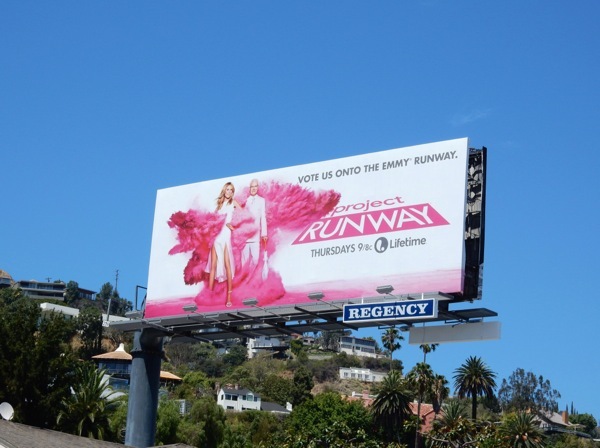 Heidi Klum and Tim Gunn are looking as hot as ever in an explosion of pink dye and trying to garner Emmy votes at the same time as advertising the new season of the reality fashion design competition. 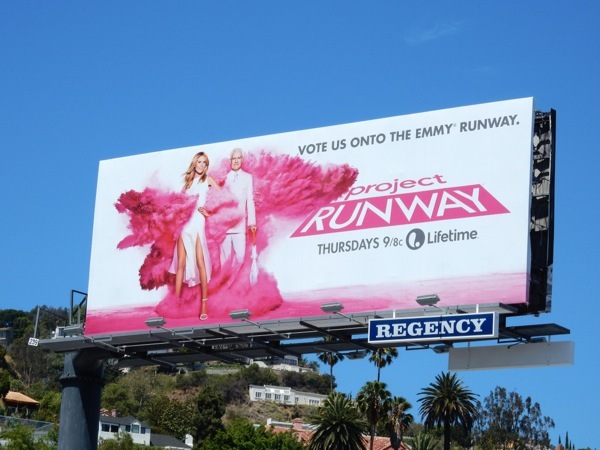 The show's sponsors may have become spread thin over time, but there's still life in Project Runway, and that's as much to do with Heidi's snarky comments and Tim's encouraging mentoring, as it is to do with the talent and quirky personalities of the contestants. Once again the show has been Emmy-nominated for Outstanding Reality Competition Program and both of them are nominated in the Outstanding Host category. 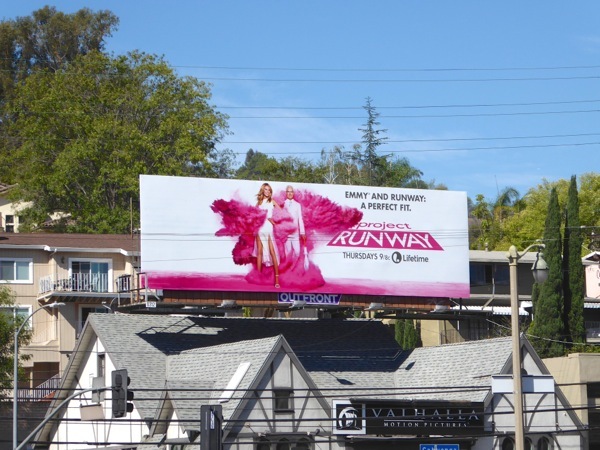 These eye-catching pink and white billboards were snapped on August 1, 2015, with the 'Vote us onto the Emmy runway' ad creative spied along L.A.'s Sunset Plaza and the 'Emmy our favorite accessory' spotted above San Vicente Boulevard. 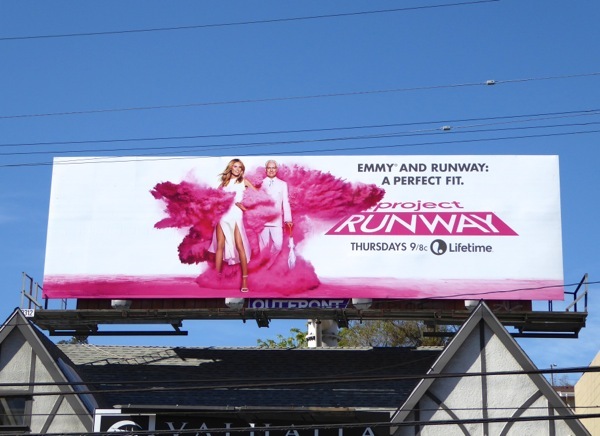 If you're a fan of the show, be sure to also check out these previous season promo billboards for Project Runway. One year they really should take all the vinyl from these billboards and use them in an unconventional design challenge. Above all else in life, remember to "Make it work." 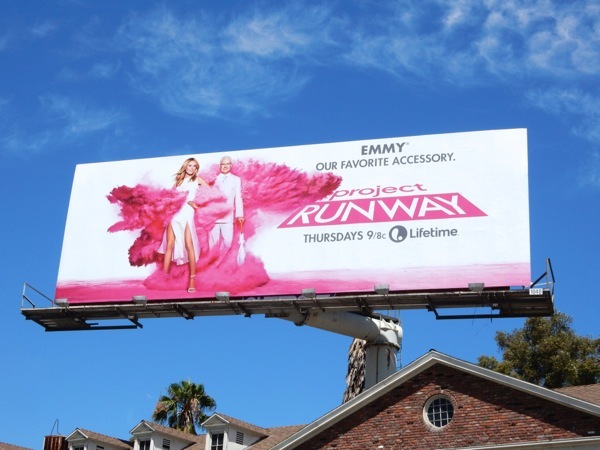 UPDATED: Here's an additional Emmy ad creative for season fourteen of Project Runway. 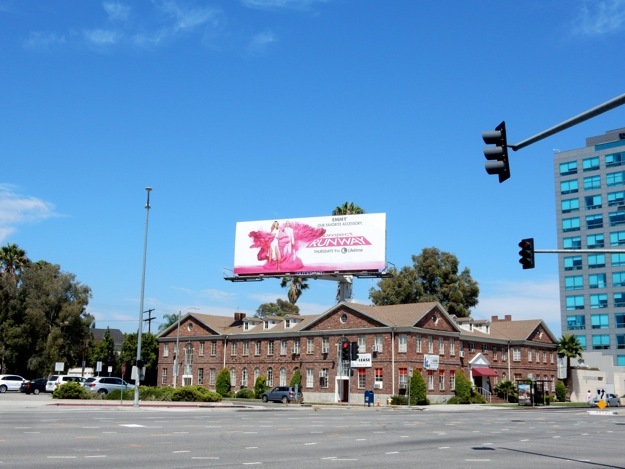 This 'perfect fit' billboard was snapped at the bottom of Barham Boulevard on August 16, 2015.